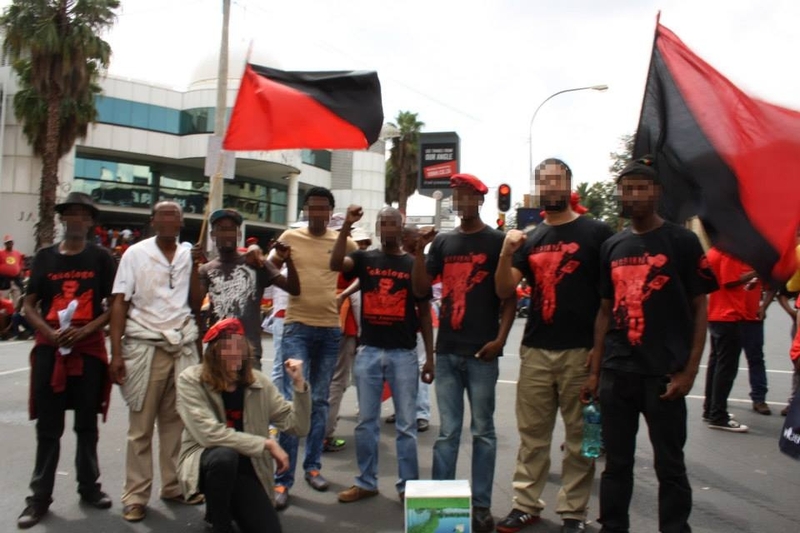 Recent repression in South Africa, like the sentencing of four protestors from Boiketlong township to 16 years in jail for alleged violence, shows what we face. The black working class is victimised and unfairly charged. This is due to the fights and popular unrest in township communities, against unfair, corrupt, maladministration and brutal living conditions. We have less and we live under financial constraints. But once we take action to the streets to fight the brunt of poverty, we face the guns and fists of police brutality. And this where jail time comes in. We want to stop the corruption, stop the suffering, stop the injustice. The war cry, our popular slogan, should be that we, the black working class, have had enough. The bedrock of every liveable community rests on honour, good services and decent livelihoods. Our brothers and sisters who take up this fight for justice should not be the ones punished for these actions. But we cannot rely on the politicans, no matter the party or the colour. We know that the people we elect to serve our communities forget doing so, once they live cozily, sit in the luxury seats. So down with this stomach politics! The 1994 ANC-led regime said it will not do what the National Party did to the people. But we experience the opposite today. The enemy we face has proven to include the ruling party. Nelson Mandela said that if the ANC does to the people, what the NP did to the people, then the people must fight back. So we must fight for justice, against what they have since perpetrated against us. It is only by building working class counterpower and ideological clarity, and never by elections, that we can win our fight for freedom. 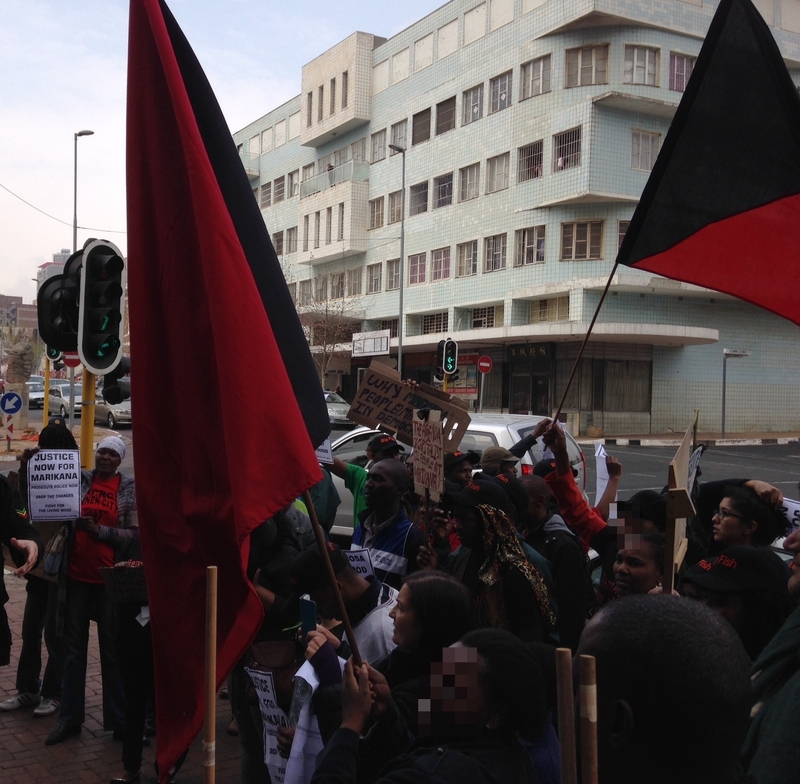 Smallish picket, good ZACF/ Tokologo presence at Central Johannesburg Police Station, aka “john Vorster Square,” in Newtown. Also recent! 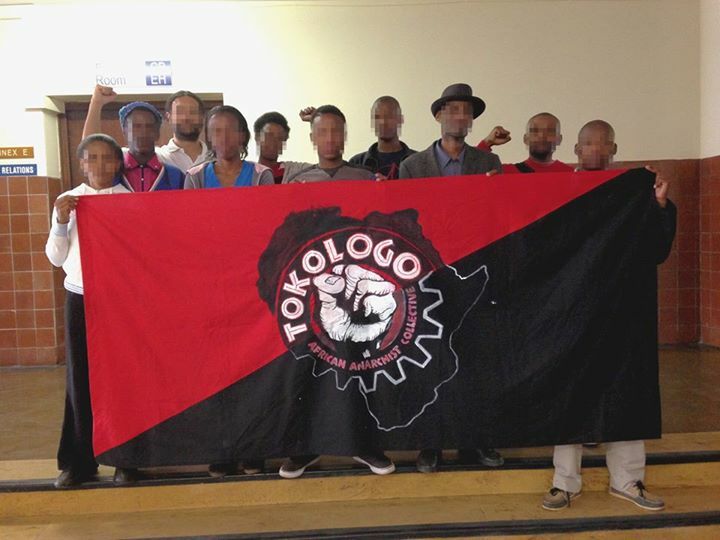 Produced by the Tokologo African Anarchist Collective, which has some links to the Zabalaza Anarchist Communist Front (ZACF). PDF link below the image.